Dennis O’Neil, Walter Simonson, Sal Buscema, Jim Aparo, et. al. This is a pretty fun assortment of stories. First Lois tells a story about Superman’s early attempts at being a hero to a lonely guy on Christmas Eve. 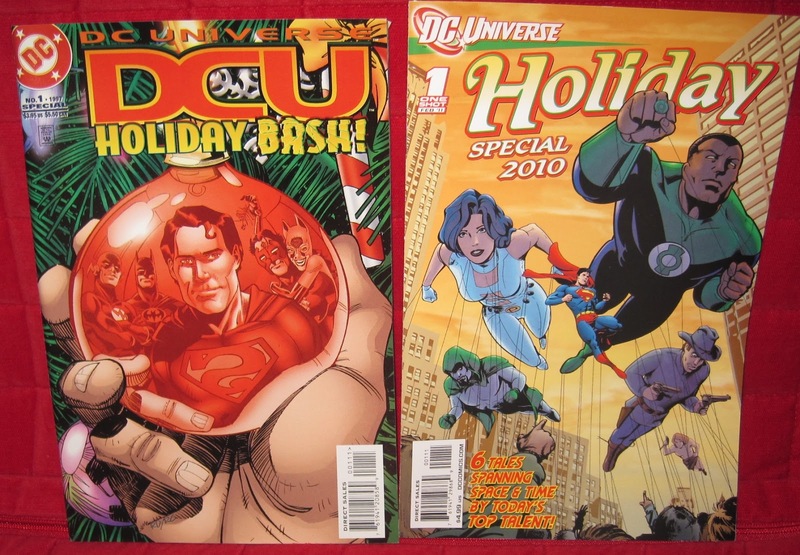 I thought the story about Highfather and Orion filling in for a department store Santa was surprisingly awesome. Denny O’Neil’s contribution is a little noir tale about Catwoman rescuing a woman and child who were targeted by mobsters. There’s a humor piece starring Etrigan, and a maybe-too-preachy piece about Green Lantern going after some punks who desecrated a synagogue. Flash shops for a gift for his girlfriend (Reprinted in DC Universe Christmas) and Alfred closes out the issue with a little wordless piece called “Just Another Night”. This is a really solid assortment, and a very enjoyable read. Joey Cavalieri, Tony Bedard, Dan Abnett and Andy Lanning, et. al. This was much less interesting an issue, unfortunately. Who compiled this? First an “Anthro” piece with confusing art and writing. Next is a Jonah Hex Hanukkah piece of all things, which is very awkward in execution. The Green Lantern piece that comes next has redeeming qualities, but it’s a smidge too melodramatic and obvious. A Superman story that’s incredibly cornball and has ugly art is followed by a tedious tale of the Spectre. The only story in the whole issue that’s actually kind of good is the last one, a half-humorous piece starring the Legion of Superheroes. There are a series of false alarms on the universe-spanning day off only called “Holiday” and the Legion needs to get to the bottom of it. Don’t bother looking up this issue, stick to the older ‘Holiday Bash’s or the DCU Infinite Holiday Special from 2006.